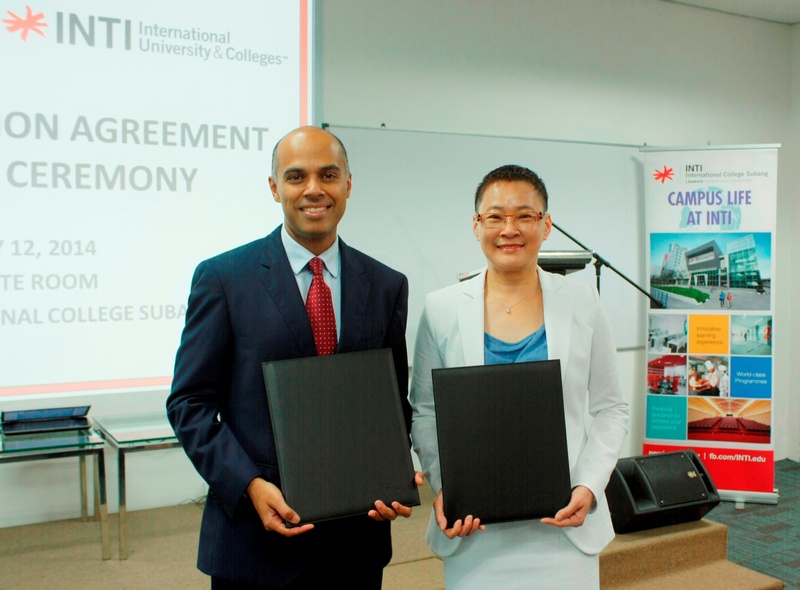 Amit Sevak (left) and Teh at the signing ceremony. “I truly believe that education is a lifelong journey and having a solid foundation from an early age is key to an individual’s success, as they go through that journey. This partnership with RIS will allow INTI’s employees and alumni the opportunity to provide their children quality education as early as the age of three years, thus giving them an excellent start in life,” said Mr. Amit Sevak, the CEO of INTI International University & Colleges at the signing ceremony in Subang Jaya. RIS offers their students a rigorous and holistic education based on international standards, from nursery all the way to pre-university level. Their teaching approach combines traditional values and modern teaching philosophies, which helps their students to be well-rounded and dynamic individuals. In addition to the benefits provided to INTI’s employees and alumni, the collaboration also means that it is now even easier for RIS’s employees and alumni to give their children access to the enriching and empowering education that is offered at INTI. For over two decades, INTI has been at the forefront of higher education in the country as the emphasis on individual development, innovative learning and international exposure helps to nurture every INTI student into an adaptable graduate who is able to make a seamless and successful transition into the working world. “I’m delighted with this partnership, as both education establishments – INTI and RIS – offer world-class education and I view our students’ transition from RIS to INTI as a natural progression. This is an incredible opportunity for our employees’ and alumni’s children to access the unparalleled education at INTI that will empower and catapult them to success,” said Mdm. Teh Siew Lan, Group CEO of RIS. The partnership entitles INTI’s employees and/or alumni to a discount when they send their children to any RIS schools – private or international – and vice versa RIS’s employees and/or alumni who send their children to INTI University or Colleges, shall enjoy the reduction in total tuition fees.